Business mentoring and support is an invaluable resource for both new business start-ups and established businesses looking to expand their label. To ensure the successful implementation of all business functions there are many considerations and decisions that need to be reviewed from business strategy to initial design concept, product development, sourcing, production, finance, marketing, legal and those all important sales! FashionCapital.co.uk has over 30 years’ experience in the industry and has developed an extensive network of key industry experts now available to support your business. The team of mentors have been carefully selected for their specialised areas of expertise. 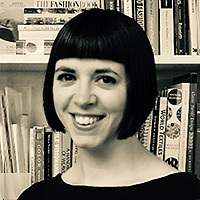 Gabrielle Shiner-Hill is a highly skilled textile and fashion designer and product developer who has worked in the manufacturing industry for over fifteen years. The last ten years working for global manufacturers Dewhirst and Esquel has given her exceptional insight into international fabric sourcing and global manufacturing routes. Her role as Design Manager at Dewhirst has equipped her with an unrivalled ability to take a product from initial concept all the way through to garment on hanger. Her customers have included Ted Baker, Fred Perry, Burberry, Next, Marks & Spencer, Target Australia, Country Road, Thomas Pink, Tesco and Adidas. Her experience working with factories in countries including Portugal, Turkey, Morocco, China, Bangladesh, Taiwan, Vietnam, Cambodia and Indonesia means she is an expert at communicating with a varied supply base. Many years presenting to financiers, directors and heads of design, has given Gabrielle excellent presentation skills and the ability to make a design proposal accessible to the non-creative. Gabrielle has also taught a textiles course at FIT in New York and lectured at international trade shows. In 2016 Gabrielle launched her fashion and textile consultancy shinerhilldesign offering a service to brands that want to create a new product or create their existing product more effectively. shinerhilldesign offers knowledgeable, customer driven, transparent product development. Gabrielle spent four years in New York working for the industry leading textile design software company Pointcarré and training Polo Ralph Lauren, Tommy Hilfiger, Li & Fung, Glen Raven, Calvin Klein Home, Columbia Sportswear, Eddie Bauer and Ecko Unlimited. Making her an expert at applying software design solutions into the creative field, Gabrielle is now the sole UK trainer of Pointcarré. Gabrielle’s extensive CAD experience covers woven (Dobby & Jacquard), Knit and Print including layers, repeat creation, halftones and watercolour effect. Originally a weaver with a lifelong passion for textiles Gabrielle is all about the fabric, this partnered with Gabrielle’s innate understanding of the critical path allows her to design and develop products with clarity and expertise. 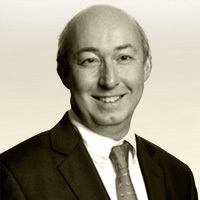 Nick is a Partner at the law firm of Gunnercooke in London. He advises companies from local start-ups to multinational trading groups on a wide range of business law issues. For many years he has specialised in advising family or privately owned and managed businesses, from the small to the very large. Business sectors include fashion and media. He also helps to solve shareholder and similar disputes. Nick lectures and writes regularly on aspects of corporate law, most recently on those involving directors' duties and liabilities. He tries to help small companies think about how to grow and to protect themselves while they do so. Nick was a member of the “Good Law” initiative set up by the UK Cabinet Office and Office of the Parliamentary Counsel to try and make law easier to understand and access - because when others give compliments it is a bonus. Mark Dodds graduated from the University of Leeds in 2001 with a BA in textile management. Since then Mark has worked for various suppliers to the British fashion industry in technical and sourcing roles, travelling the world to source fabrics and working with garment making factories to make products sold to the British and US high street retailers. In 2010 Mark partnered with Christopher Waller to set up a luxury womenswear fashion label. In doing this he gained experience working with small UK manufacturers, fabric suppliers, PR and sales agents and as a result knows first hand what it’s like to be a fashion start up and the challenges that they face. In 2012 Christopher Waller joined Fashion Scout and presented the collection during London Fashion week. 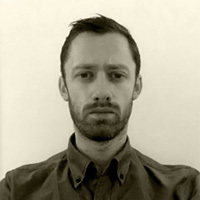 Mark now works as a consultant and has contracts working for ASOS.com, Charlotte Tilbury and Oliver Spencer, retaining Christopher Waller as a design consultancy business. What are the good fabric shows to go to? Where can you look for small quantities other than Berwick St? He has worked extensively in the fashion sector with small and medium sized enterprises (SMEs). This work has included projects with designers, Cut Make Trim (CMT) units, and sampling units. Nigel has been a big supporter of Fashion Capital for several years. 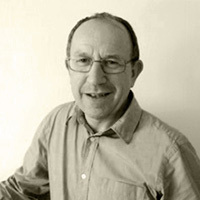 He was involved in the original development of the 'Manufacturers Online Showroom' directory of manufacturers on Fashion Capital in 2007 and helped Fashion Capital to grow the site to its current size. We offer educational site visits to the factory for cohorts of students at all levels to experience an ethical UK garment manufacturer and gain an understanding of the complete production process.